Well, hello! Do you happen do be a human on this earth? An American citizen, perhaps? If you are any or all of these things, odds are that you know a person, probably many a person, who clams up and can’t decide what to do when they see one of those scary circular “intersection” thingies on public streets. But, sadly, you’re not just bad at making friends. Well, maybe that’s part of it, but a lack of comprehension for how to use “roundabouts” or “traffic circles” or whatever you want to call them is a widespread epidemic, especially amongst the American people. You see, the big circle cars are supposed to merge into at a low speed and all of those triangular signs telling drivers to “yield to other traffic and pedestrians,” well, they’re just too much for some people to handle. Too many shapes. It’s like a big street kaleidoscope, and nobody really understands kaleidoscopes. 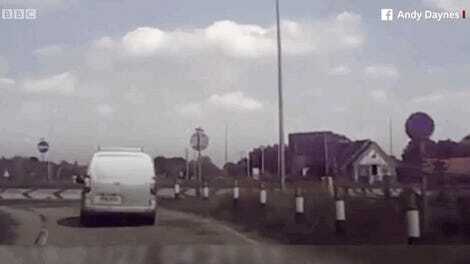 Thus, some people stop when no cars are in the circle. Some people accelerate straight into the circle when other cars are coming, thinking the cars already in the circle will stop for them. But, at least in this land that spreads from sea to shining sea, it doesn’t matter how much knowledge of a traffic circle anyone has because they can’t trust anyone else in the circle with them. 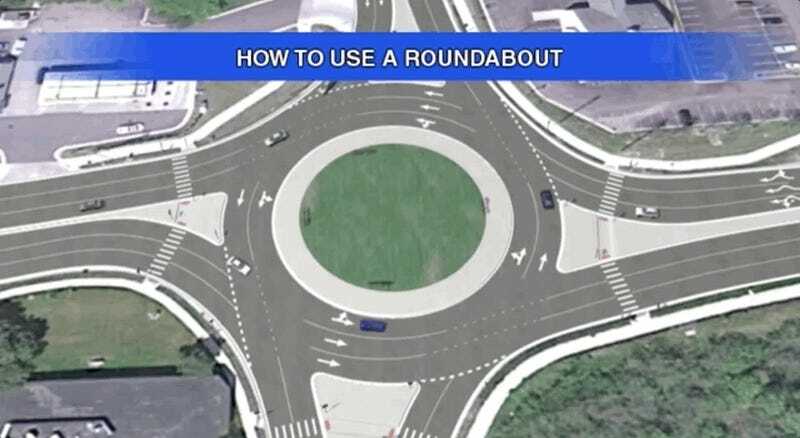 Since everybody knows somebody who can’t use a roundabout, help them help themselves (and others) by sending them this very cool story you found on the internet. Will they yell at you for being a passive-aggressive jerk who needs to just come right out and say what you’re thinking? Perhaps. Will they learn life- and frustration-saving techniques? Absolutely! They’ll appreciate your thoughtfulness someday. Or, at least, someone sharing a traffic circle with them will.